We have to agree. Butter is better. That's why we've put together this E-Book featuring ours (and everyone else's) favorite ingredient. Butter is a true superfood, containing essential vitamins, minerals, and quality saturated fats. The gig is up. No more hiding from the fact that we need saturated fats for optimal brain and hormone function. Even TIME magazine, 53 years after Ansel Keys supposed "revolutionary" discovery, has officially debunked their original article. Now, they are telling us it is ok to eat butter again. In fact, it is more than ok, it is recommended! Butter is a key component in paleo, wheat-free, low carb high fat, ketogenic, and traditional diets. It is a delicious, nourishing, and energy promoting ingredient. From a culinary standpoint, butter is a key ingredient for many reasons. Imagine popcorn without butter. How could lobster or shellfish be enjoyed without a bowl of butter to dunk them into? With it's creamy and rich mouth feel, butter stands out as an ideal cooking fat. Butter perfects sauces, baked goods, and can add the most perfect nutty flavor to a variety of ingredients. The addition of butter to beverages, especially coffee, has quickly becoming a national, even worldwide phenomenon! Over 25 mouth watering recipes featuring everyone’s favorite food: butter. Allow us help you get butter on the dinner table. Easy, convenient, how to's and recipes to assist you in getting more of this nutriment in your life. Butter isn't something to just slap on your steamed broccoli. There is a whole world of incredibly succulent recipes featuring butter waiting for you. When you get right down to it, who wants to compromise flavor and texture when it comes to eating healthy and nutritious? Be a butter believer and get butter into your kitchen! Without focusing on one particular diet, my culinary inspiration comes from a melange of dietary principles — including traditional diets, wild foods, clean eating, raw food, farm to table and nose to tail style of food preparation. Frank Giglio is a classically trained chef at the New England Culinary Institute in Montpelier, VT. Years later, he would go on to graduate from The Institute for Integrative Nutrition in NYC, a program would change the course of Frank’s cooking and lifestyle. While Giglio’s culinary offerings are based in classic technique and traditional foods preparation, he has also been immersed in using food as medicine. He focuses on sustainable cuisine, seeking the highest quality foods grown locally and harvested in season, supporting the crucial farm to table method of preparing food. Giglio's adventurous culinary offerings have been showcased throughout the health community as Frank is the featured chef for NY Times Best-Selling Dr. Alejandro Junger’s Clean Eats cookbook. Frank caters weddings, special events, and weekend workshops across the country. Through his many ventures and projects, Frank Giglio is helping to bring the local and sustainable food movement to communities everywhere, making it extremely accessible and incredibly delicious! Let Chef Frank inspire you to enjoy taking your health to the next level! We're so confident that you are going to love every little piece of this Recipe E-Book. 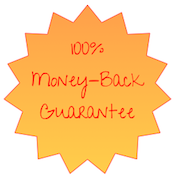 If you are not 100% satisfied with your purchase, please contact us for a full refund within 14 days of purchase. Questions about the E-book? Need help placing your order? Please contact us here.